Valtteri Bottas believes he lost a probable fifth place finish in the Belgian Grand Prix when his Williams team accidentally fitted his tyres incorrectly at his first pitstop. The Grove-based squad earned Bottas a drive-through penalty after sending him back on to the circuit with three soft tyres and one medium tyre. That setback meant the Finn came home ninth, having run in sixth at the time of the ill-fated stop – dropping from third on the grid after a poor start. Asked when he became aware of the team’s mistake, Bottas said: “I just thought there was a bit of a mistake with tyre pressures or something. 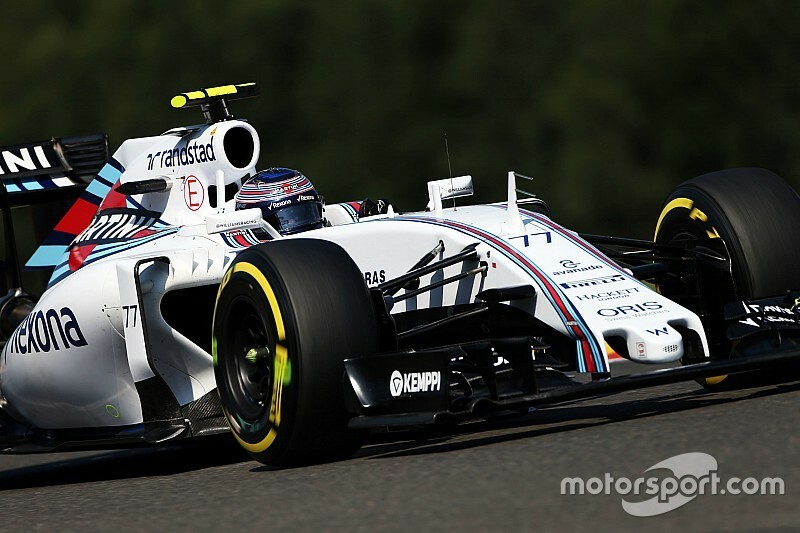 Elaborating on a general lack of pace for Williams, Bottas added: “My main problem was tyre warm-up. I had quite a lot of wheelspin and then also the first two laps felt slippery. “We also still need a more efficient car aero-wise; we added some downforce, but then we lost out in the first and third sectors. Felipe Massa brought the sister car home in sixth place, highlighting the FW37 struggled in particular on the soft tyres. “The start was not good and for whatever reason the car was not working with the soft tyres,” said the Brazilian. “So we were losing a lot of positions on soft tyres with both cars. That was the biggest problem, with the medium tyre the car was ok.